A conditional use permit was granted to the Seaside School District for revised plans at Seaside Heights. 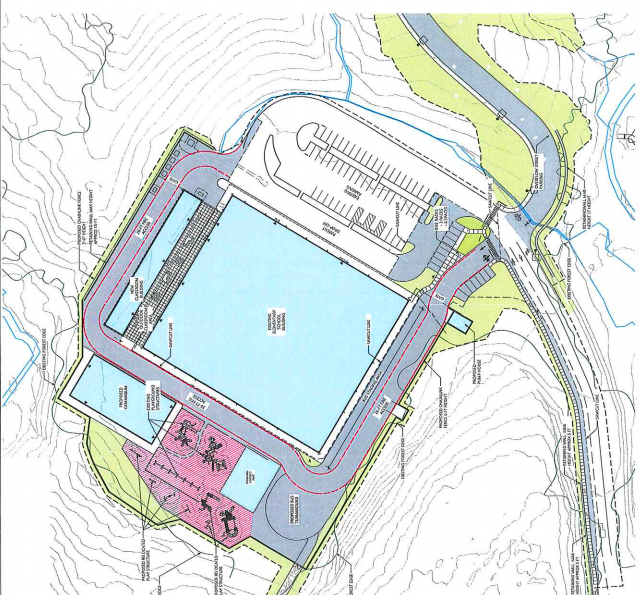 The new gym is at lower left, in blue. Architect’s rendering of the new freestanding gym to be built at Seaside Heights Elementary School. 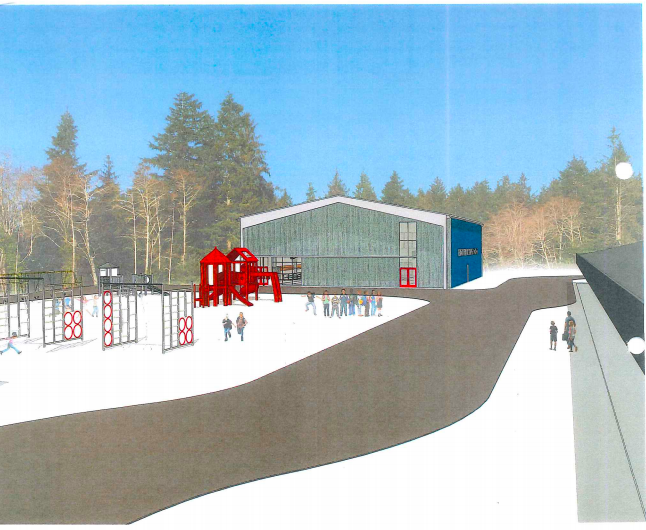 Faced with rising construction costs and a shortage of labor, Seaside School District Superintendent Sheila Roley and project manager Jim Henry presented designs for a new freestanding gymnasium and covered play area at Seaside Heights Elementary School. The original plan, part of the $100 million bond approved by voters to move schools out of the tsunami inundation zone, had been to leave the Seaside Heights building “as is,” Roley said, and maintain the existing gymnasium. The new freestanding 6,000-square-foot gymnasium, designed for elementary physical education classes, will feature regulation high school basketball courts, offices and restrooms. The modification could save the district $500,000, Henry said. Plans for a classroom wing building on the west edge of the site have been replaced by new wing of six-to-eight classrooms on the north side of the Heights building, including an outdoor classroom area between the building and new classrooms. The elementary school’s former gym space will be reconfigured into classrooms. The changes required city approval as “major modifications” to the school district plan, Henry said. “We reviewed it with (Planning Director) Kevin Cupples and he thought it was enough changes moving the building and the amount of square footage that he thought it would be worthwhile for the Planning Commission to hear it,” Henry said after the meeting. The goal is still to provide one elementary school of approximately 800 students for the district, architect Dan Hess said in a memo to the commission. The district could save up to $500,000 on the gym alone, Henry added. To fill construction needs, the district has recruited teams from around the country, including a concrete masonry unit from Florida and sheetrockers from Alaska. Planning commissioners unanimously approved the modifications. Construction at the elementary school is scheduled to begin after spring dismissal. “We’re getting pretty close to having the final plans all dialed in,” Roley said.